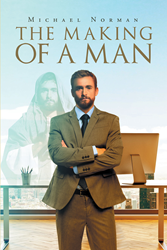 “The Making of A Man” from Christian Faith Publishing author Michael Norman is a thought-provoking dissertation that answers the questions regarding man’s true definition and destination, with an emphasis in the societal and Biblical context. “The Making of A Man”: a griping account that gives a biblical understanding of what man truly is in the aspect of philosophy and religion. “The Making of A Man” is the creation of published author, Michael Norman, a dedicated writer and author. Published by Christian Faith Publishing, Michael Norman’s new book provides a clear perspective on the definition of man, as defined by man himself, incorporated with a profound analysis based on selected references. This book hopes to differentiate the man from his spiritual philosophy that oftentimes question the most comprehensive principles of reality, making the focus of this narrative man itself, from the standpoint of a man, and as defined by man. View a synopsis of “The Making of A Man” on YouTube. Consumers can purchase“The Making of A Man” at traditional brick & mortar bookstores, or online at Amazon.com, Apple iTunes store, Kobo, or Barnes and Noble. For additional information or inquiries about “The Making of A Man”, contact the Christian Faith Publishing media department at 866-554-0919.